EDIT: Yes, this post has been published twice. There was a backend problem on WordPress. Sorry. 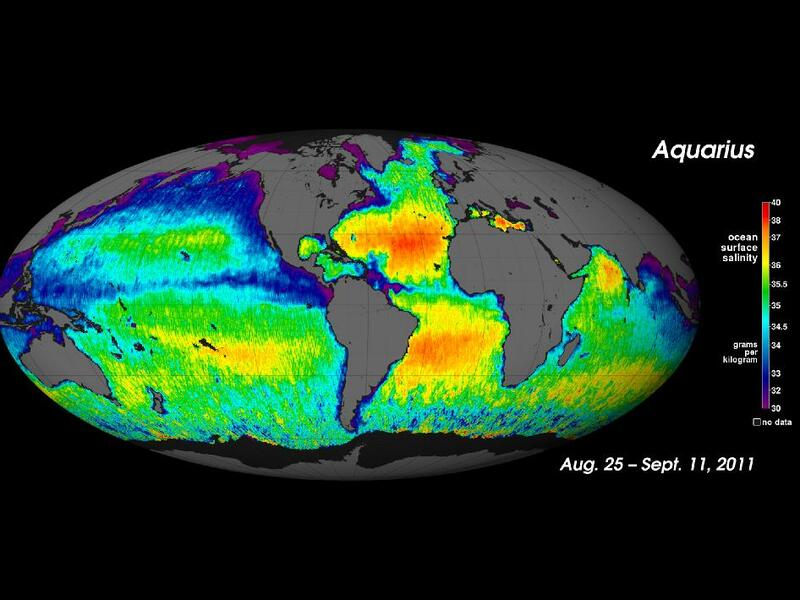 NASA just released a cool new map of the world’s ocean’s salinity. I wish we could see the North Atlantic in better detail. 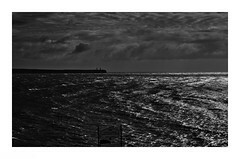 It’s still early days for this though so there’ll be more to come. I look forward to seeing more detail for the North East Atlantic, English Channel, Mediterranean etc. “On the colorful map, yellow and red represent areas of higher salinity (or salt content), with blues and purples indicating areas of lower salinity. Areas colored black are gaps in the data. Known as Aquarius, the instrument is making NASA’s first space observations of salinity variations on the ocean surface — a key component of Earth’s climate that influences ocean circulation and is linked to the cycling of freshwater around the planet. So far, the instrument is performing better than NASA scientists expected. The new map was made from Aquarius’s first two-and-a-half weeks of data. The new Aquarius map reveals predominantly well-known ocean salinity features, such as higher salinity in the subtropics, higher average salinity in the Atlantic compared with the Pacific and Indian oceans, and lower salinity in rainy belts near the equator, the northernmost Pacific Ocean and elsewhere.